This was written by admin. Posted on Thursday, January 17, 2019, at 8:45 pm. 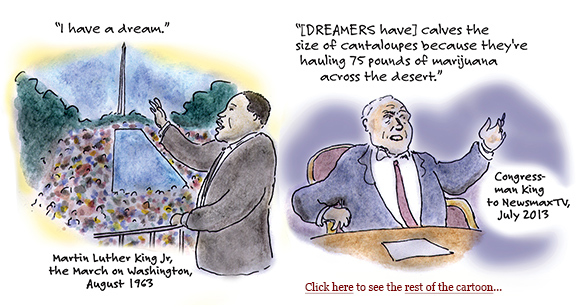 Filed under Boston Globe Cartoon, cartoon, Martin Luther King Jr, prejudice, stereotypes. Bookmark the permalink. Follow comments here with the RSS feed. Both comments and trackbacks are currently closed.